“to enable leaders and their organisations to realise their full potential”. The contemporary business environment challenges conventional leadership practice. Our programs and resources are practical, applicable and relevant to the Digital Age workplace. The Stragile philosophy has been active for twenty years in the hands of our Managing Partner Mark Bilton. In the last few years it’s been honed, refined and proven over many industries. It’s now ready to be made available to a select group of Licensed Strategists. 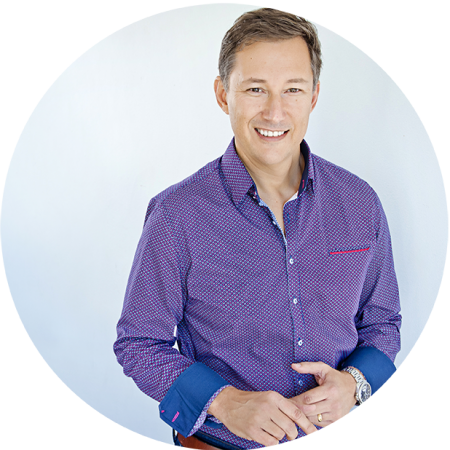 Mark is a Leadership Advisor, Strategist and Speaker. He enables leaders to ‘realise their potential’, and is on a mission to ‘reframe leadership’ and ‘humanise the workplace’. Managing Partner, Mark Bilton is highly regarded as an international award winning, commercially astute, leader. He brings 20 years’ CEO experience; leadership, culture, and strategic, insights to both the executive’ and board’ tables. A turnaround CEO, his ability to design and implement real world business strategies, adds signiﬁcant value for all stakeholders. Mark has led multinational organizations through transformational change; companies like Gloria Jeans Coffees, where he oversaw 40 countries, Hagemeyer Brands and the Charles Parsons Group. Honour We honour and respect all stakeholders. Passion We are passionate about everything we do. Excellence We strive for excellence at all times. Partnership We partner based on integrity and trust. Integrity We value integrity over convenience. Authentic We remain real and grounded. Know Your Why. Purpose unlocks passion and direction. Respect and Honour. Everyone, regardless of role or relationship, should be treated with honour and respect. Control is an Illusion. Clear vision, direction and empowerment result in momentum. Democratise Information. An organisation with transparency builds trust, understanding and alignment. Culture Unlocks Potential. Invest in your people; your people will invest in your customers; then your customers will invest in you. Innovate and Differentiate. Innovation is not an event it is a cultural imperative. Innovation drives differentiation and success. Simplicity trumps Complexity. The elegant and effective solution is the simple refined from the complex. Humanize the Workplace. Relax and enjoy, we spend a lot of time at work we might as well enjoy it. Clear Strategy. To empower people, you need direction and clear simple milestones; that’s strategy. To Lead is to Serve. Real leadership is an act of service.